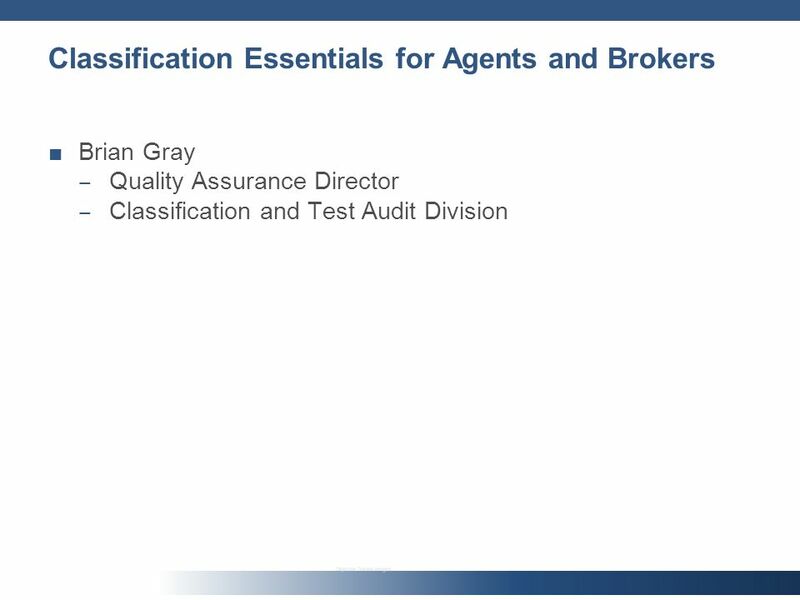 W o r k e r s C o m p e n s a t i o n I n s u r a n c e R a t i n g B u r e a u o f C a l i f o r n i a ® Classification Essentials for Agents and Brokers. 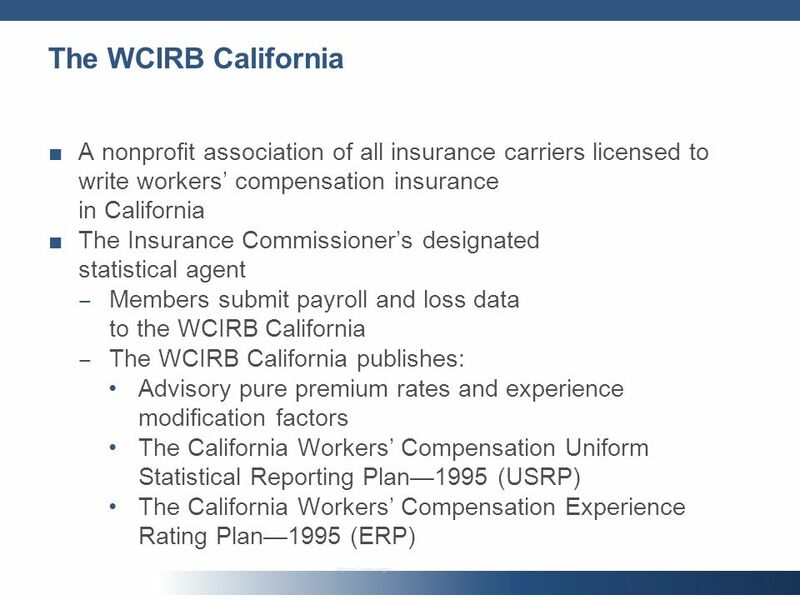 2 Notice The information provided in this presentation was developed by the Workers Compensation Insurance Rating Bureau of California (WCIRB) solely for the purpose of discussion during this presentation. 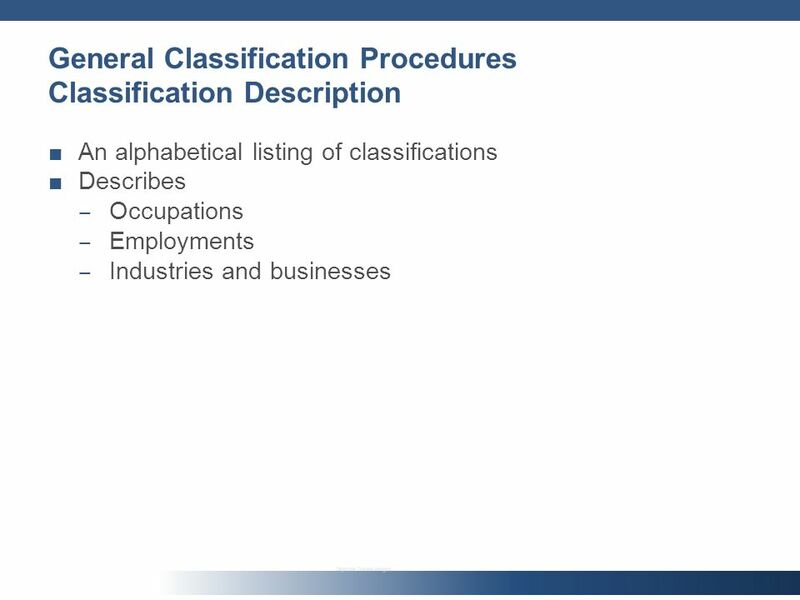 The WCIRB shall not be liable for any damages, of any kind, whether direct, indirect, incidental, punitive or consequential, arising from the use, inability to use, or reliance upon information provided in this presentation. 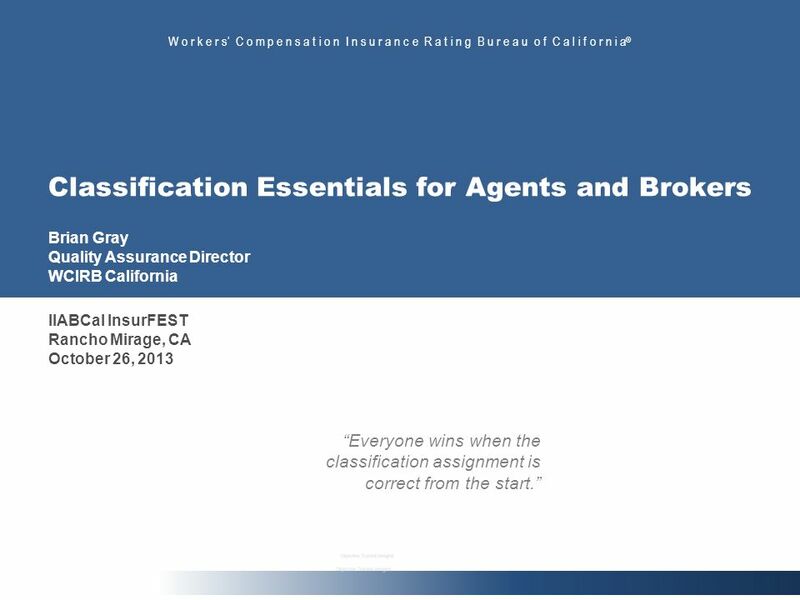 2013 Workers Compensation Insurance Rating Bureau of California. All rights reserved. 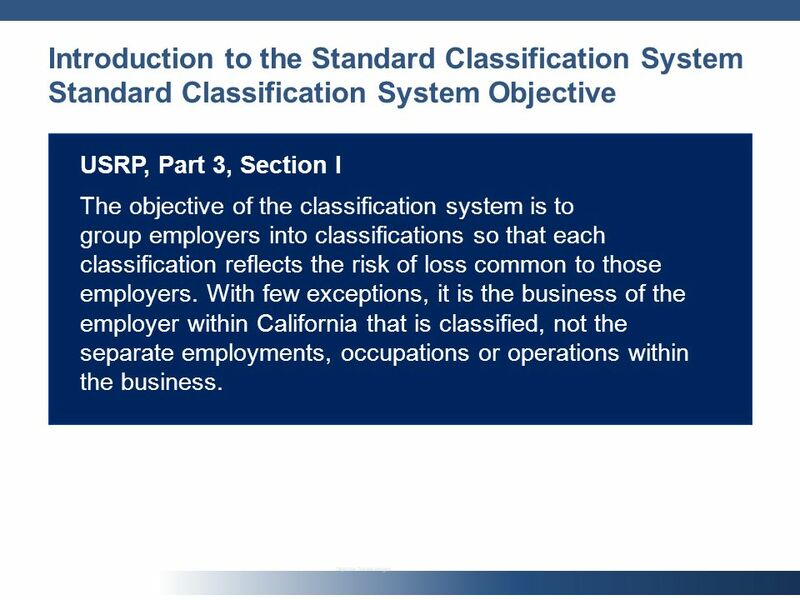 No part of this work may be reproduced or transmitted in any form or by any means, electronic or mechanical, including, without limitation, photocopying and recording, or by any information storage or retrieval system without the prior written permission of the Workers Compensation Insurance Rating Bureau of California (WCIRB), unless such copying is expressly permitted by federal copyright law. 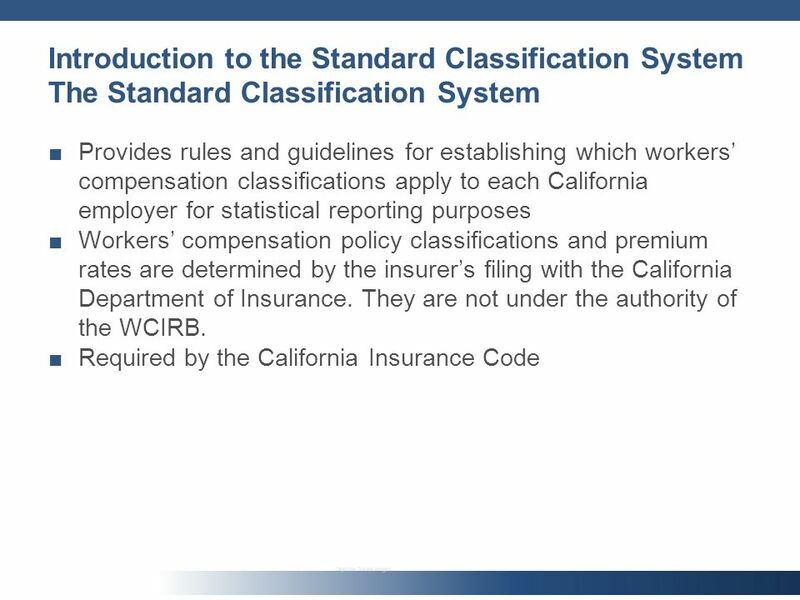 Workers Compensation Insurance Rating Bureau of California, WCIRB, WCIRB California, WCIRB Online, X-Mod Direct, eSCAD and the WCIRB California logo (WCIRB Marks) are registered trademarks or service marks of the WCIRB. 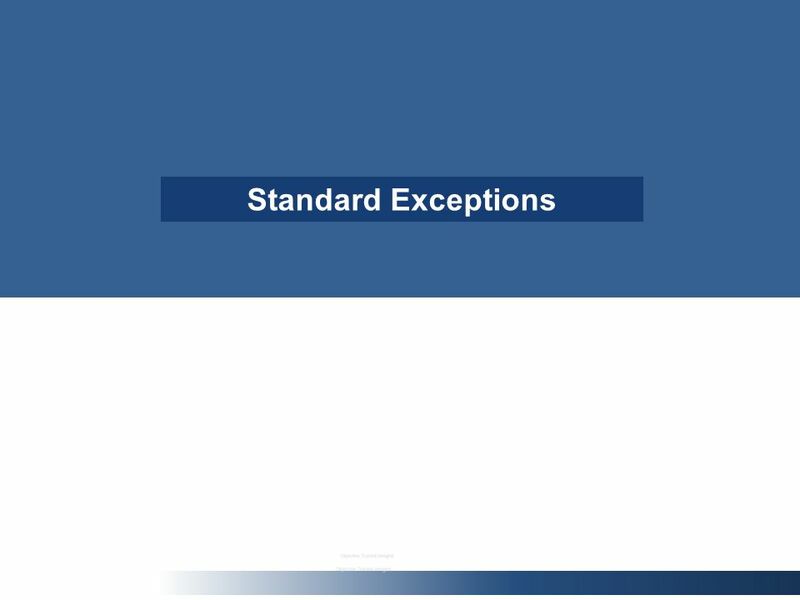 WCIRB Marks may not be displayed or used in any manner without the WCIRBs prior written permission. 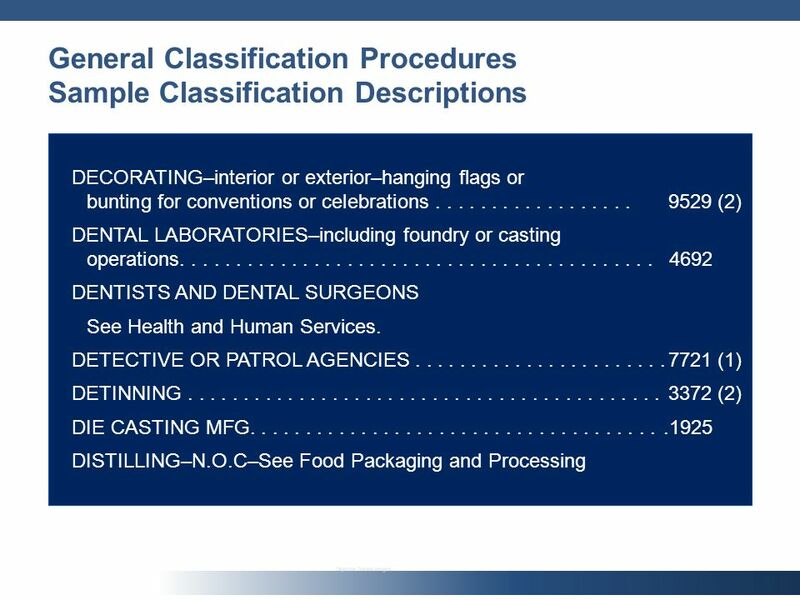 Any permitted copying of this work must maintain any and all trademarks and/or service marks on all copies. 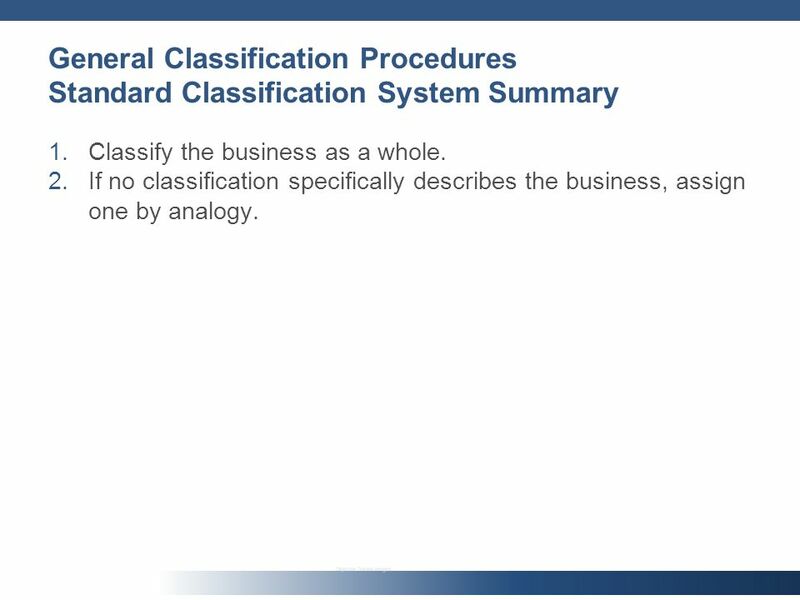 17 General Classification Procedures Standard Classification System Summary 1.Classify the business as a whole. 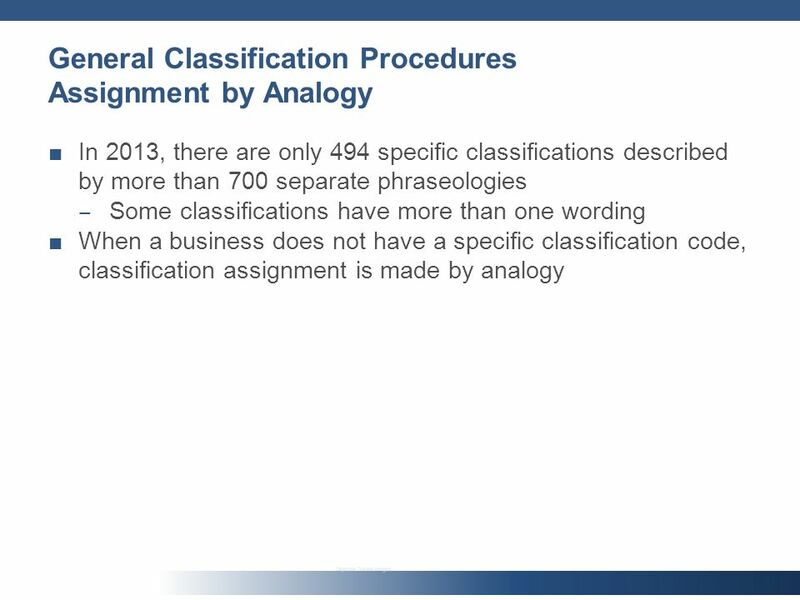 2.If no classification specifically describes the business, assign one by analogy. 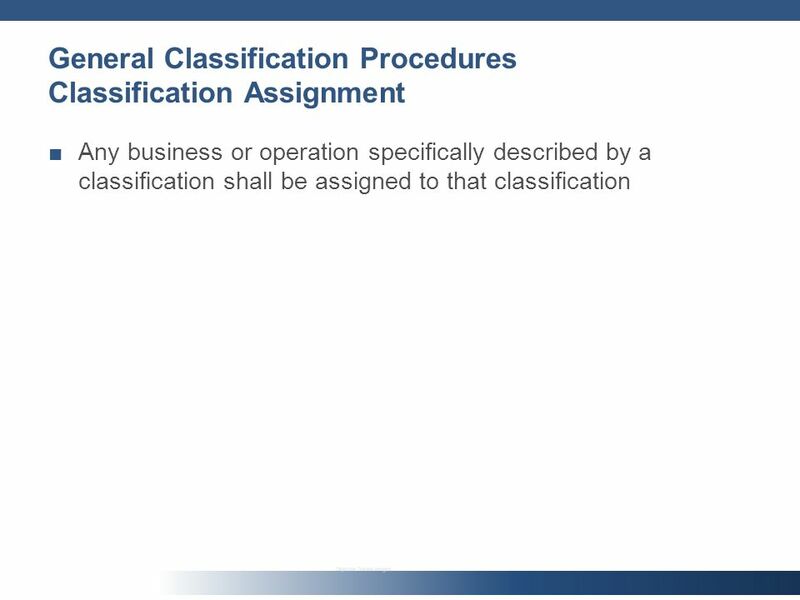 23 Single Enterprise Classification Assignment Why dont we separately assign each department or operation to its own classification? Why do we lump them all together? 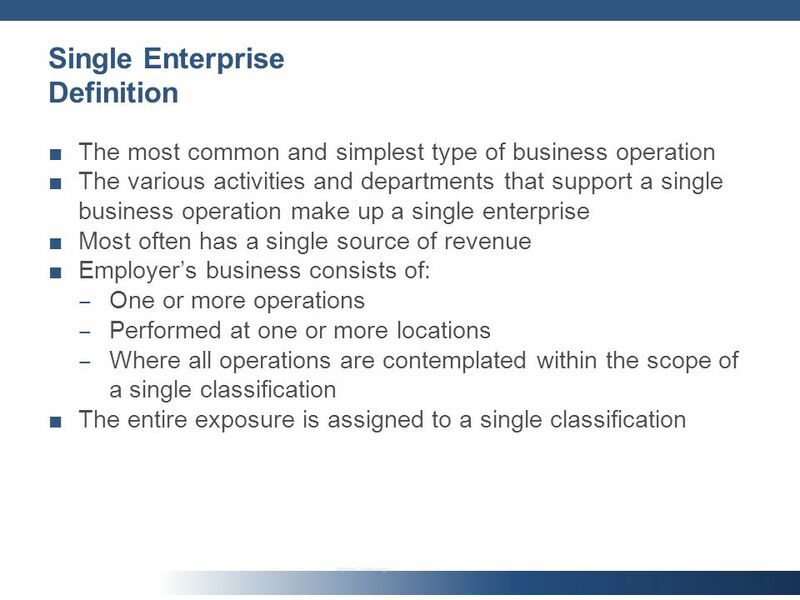 1.The Single Enterprise concept is the best ratemaking method, consistent with classifying by the employers overall business and industry. 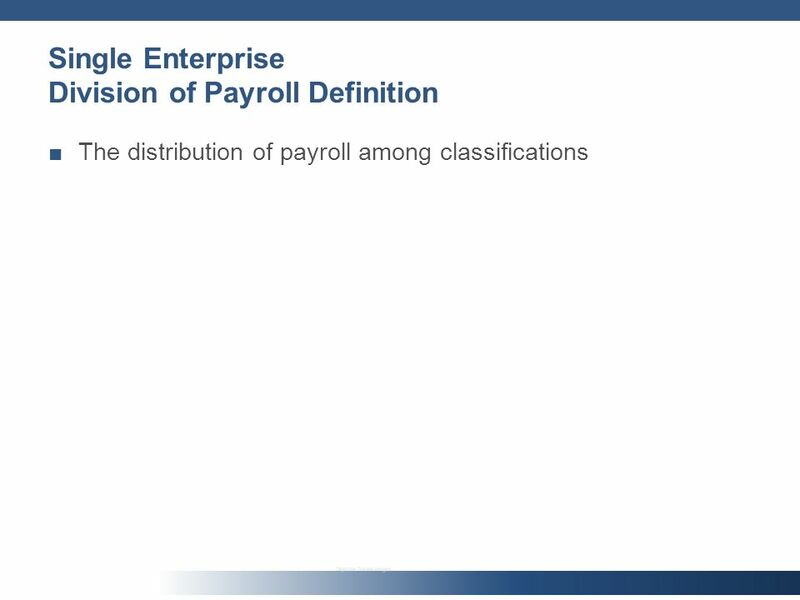 2.The record keeping to accurately track payroll for every activity would be burdensome to employers. 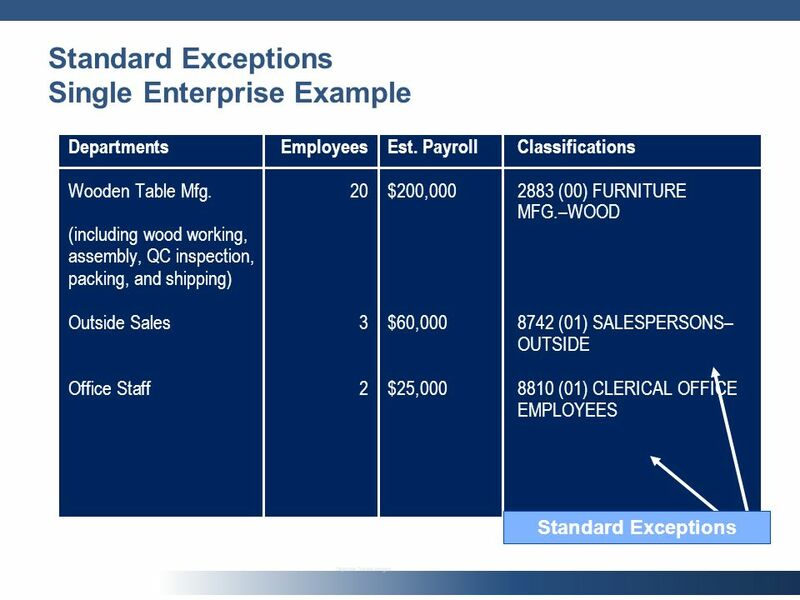 3.Calculating a separate rate for each activity may not produce credible rates for each activity. 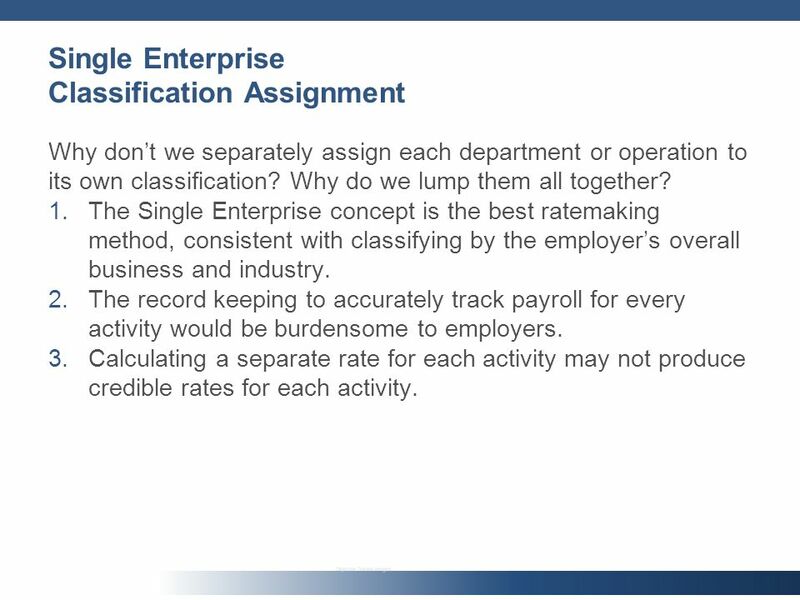 24 Single Enterprise Classification Assignment 4.With perfect records and accurate rates for each activity, the average premium for most businesses would not change. 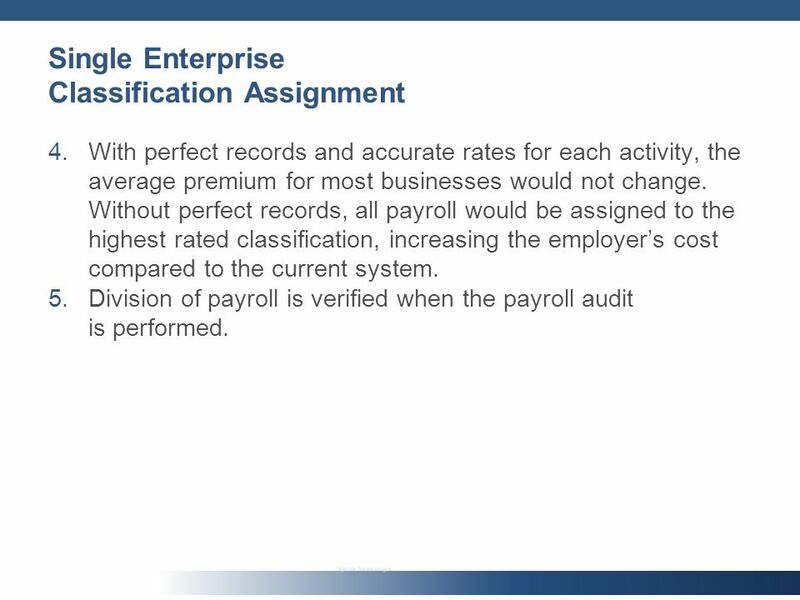 Without perfect records, all payroll would be assigned to the highest rated classification, increasing the employers cost compared to the current system. 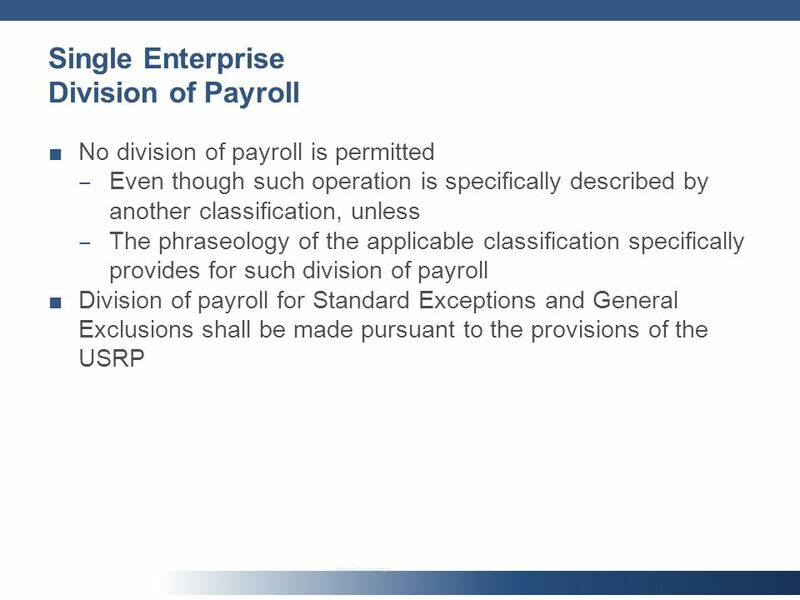 5.Division of payroll is verified when the payroll audit is performed. 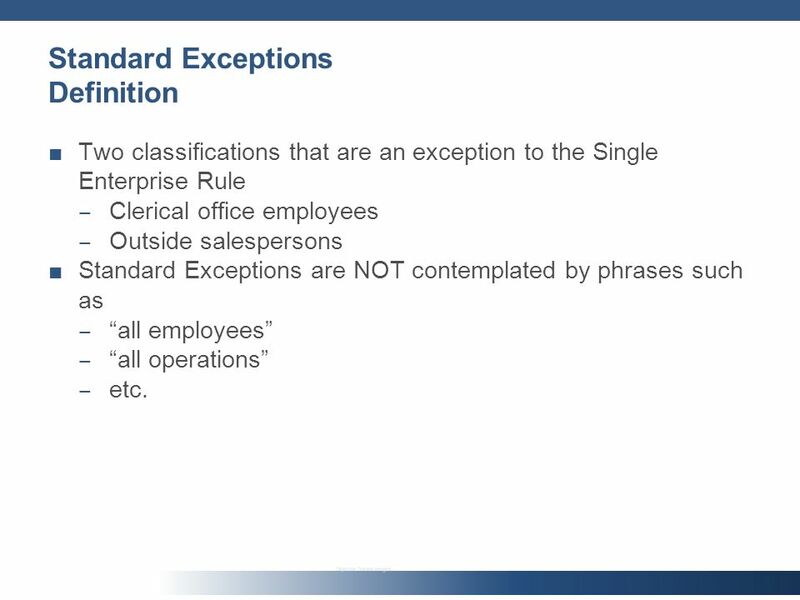 26 Standard Exceptions Definition Two classifications that are an exception to the Single Enterprise Rule Clerical office employees Outside salespersons Standard Exceptions are NOT contemplated by phrases such as all employees all operations etc. 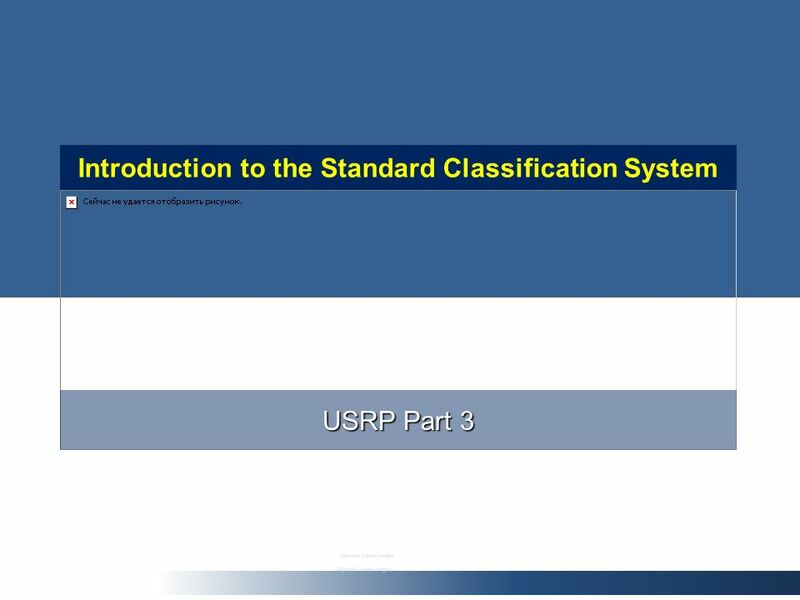 Download ppt "W o r k e r s C o m p e n s a t i o n I n s u r a n c e R a t i n g B u r e a u o f C a l i f o r n i a ® Classification Essentials for Agents and Brokers." 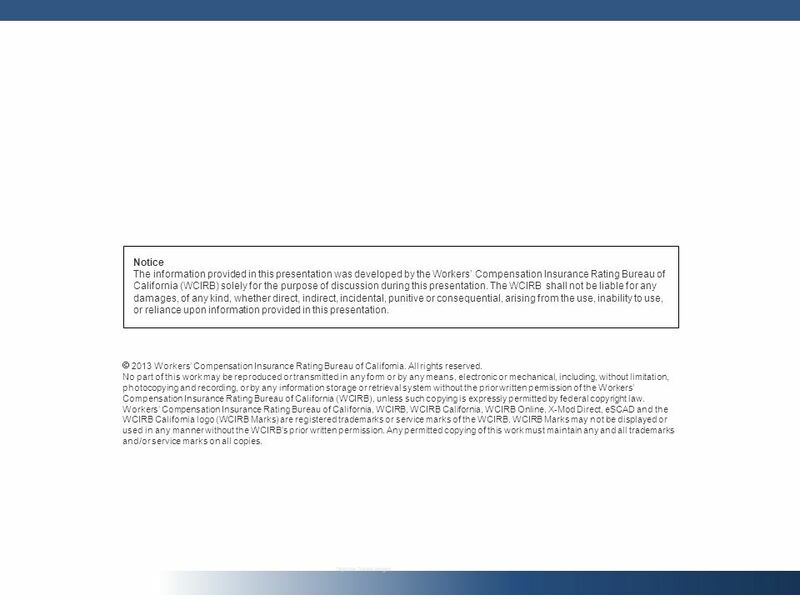 W o r k e r s C o m p e n s a t i o n I n s u r a n c e R a t i n g B u r e a u o f C a l i f o r n i a ® Preparing for the Workers Compensation Premium. 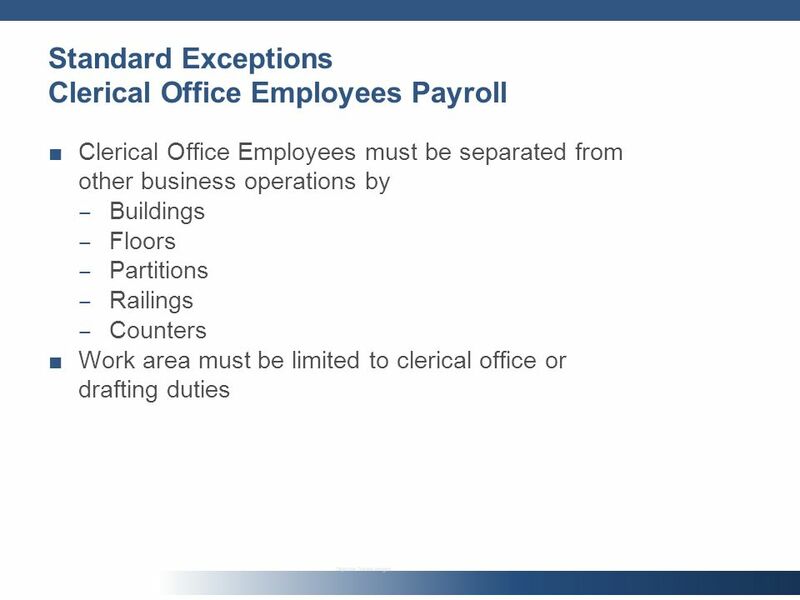 Hispanic Contractor’s Association de San Antonio/OSHA. 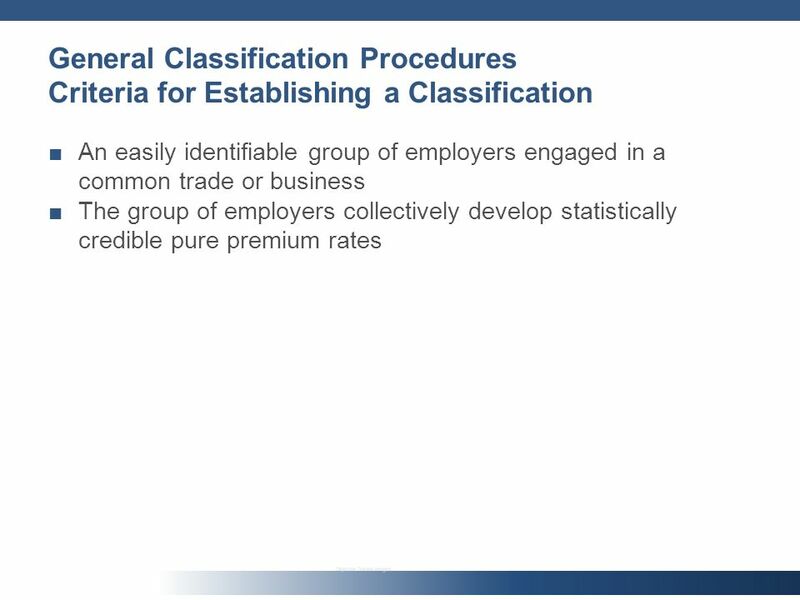 Minimizing Workers’ Compensation Costs Information for Businesses. 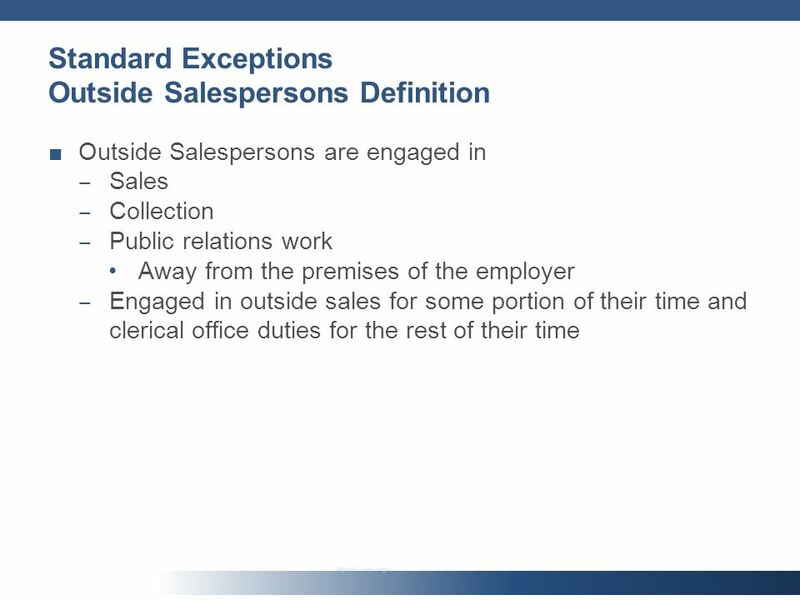 13-1 Retail Mgt. 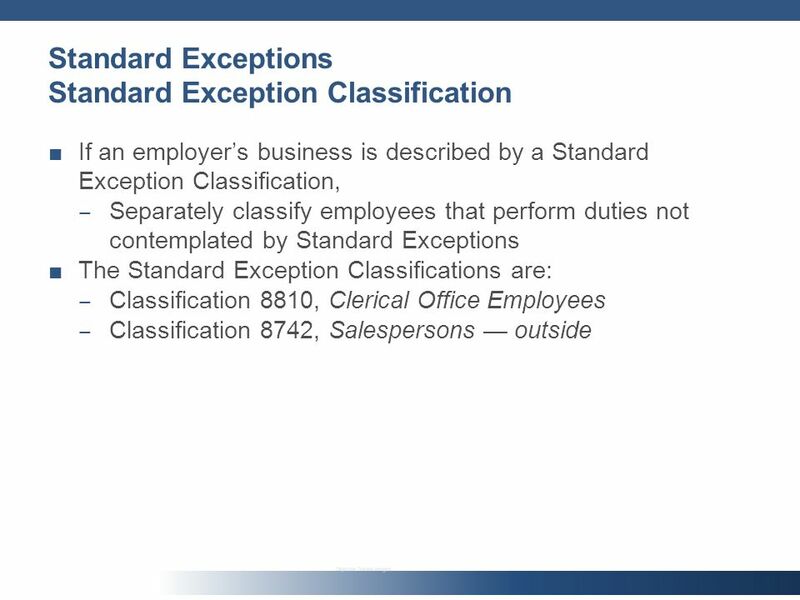 11e (c) 2010 Pearson Education, Inc. publishing as Prentice Hall Operations Management: Operational Dimensions RETAIL MANAGEMENT: A STRATEGIC. 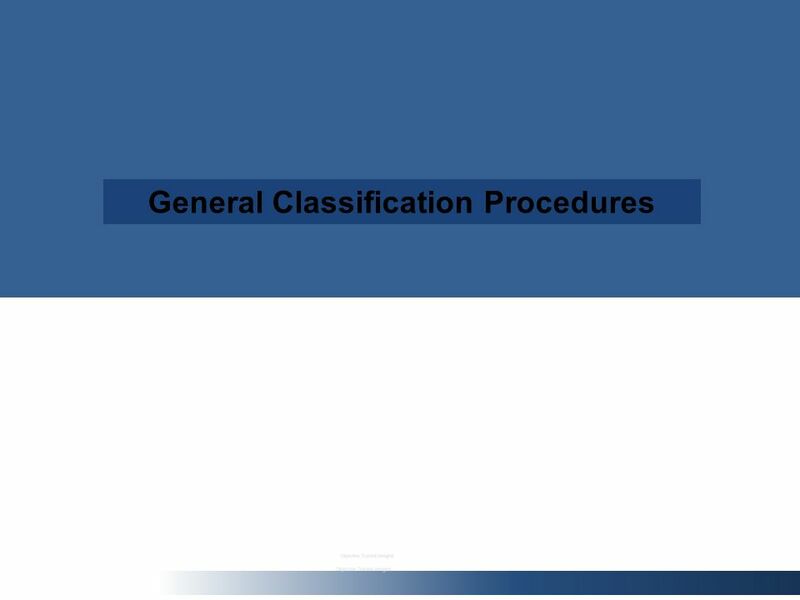 RISK MANAGEMENT FOR ENTERPRISES AND INDIVIDUALS Chapter 16 Risks Related to the Job: Workers’ Compensation and Unemployment Compensation. 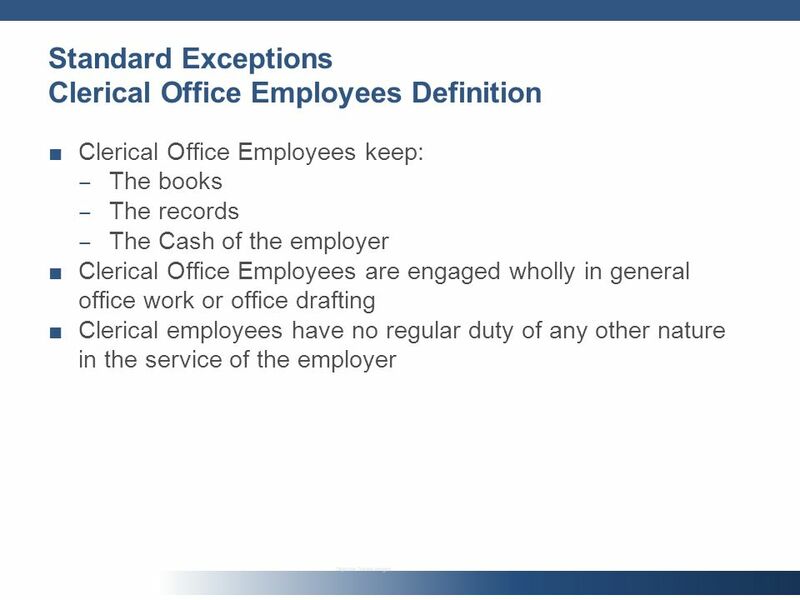 DPW General Conditions Articles 32 through 37. Articles Covered Today  32 Owner’s Right to Withhold Payment  33 Owner’s Right to Stop Work and Terminate. 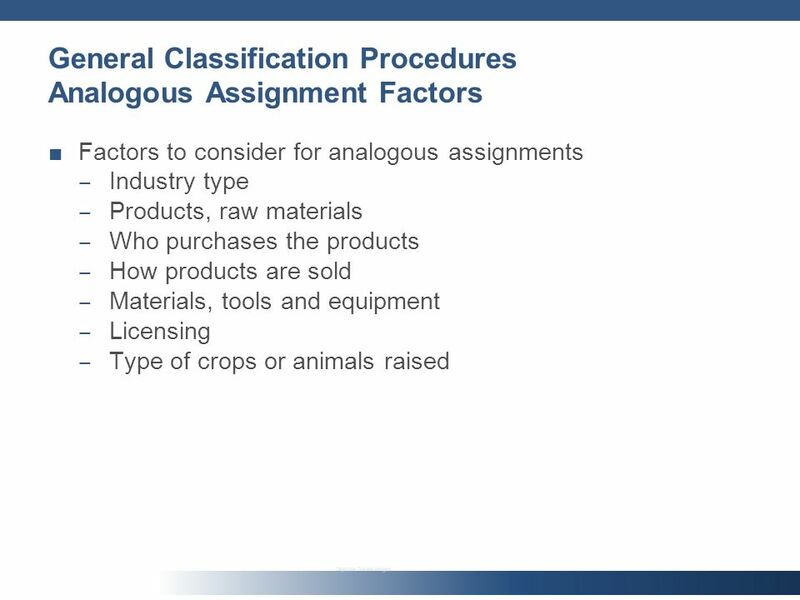 ADVERTISING AND SALES PROMOTION LESSON 2.6 – ENVIRONMENT AND LEGISLATION COPYRIGHT © TEXAS EDUCATION AGENCY, ALL RIGHTS RESERVED. 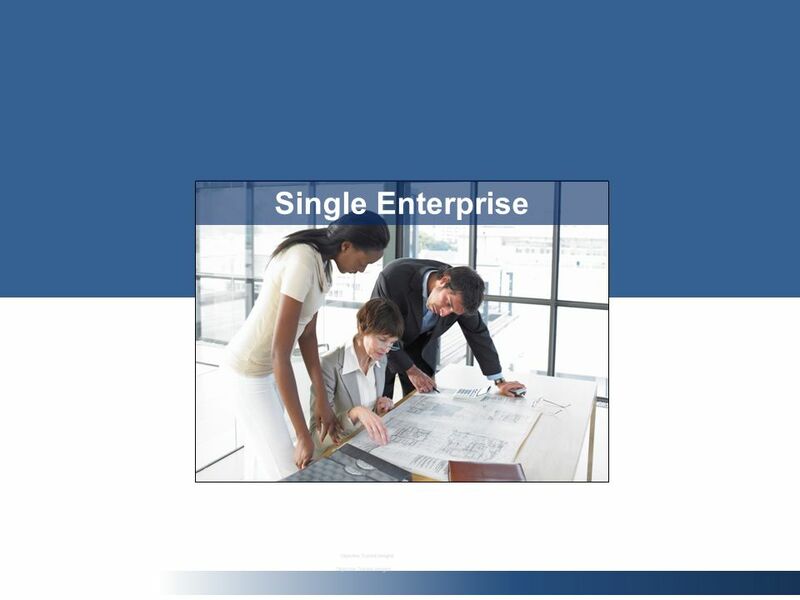 The Demand for Audit and Other Assurance Services Chapter 1. State and Local. 3 Levels of government in ensuring food safety FSANZ development of food safety standards. 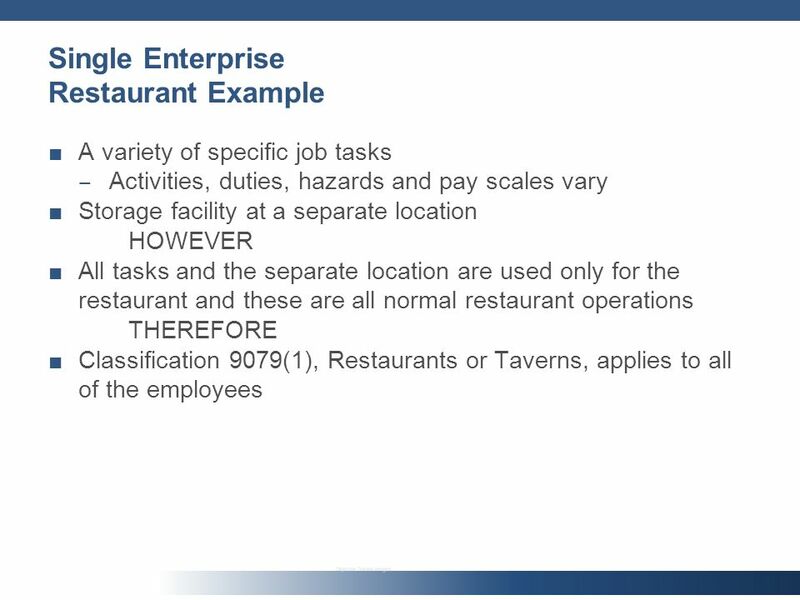 DHS: Implementing and enforcing food legislation. 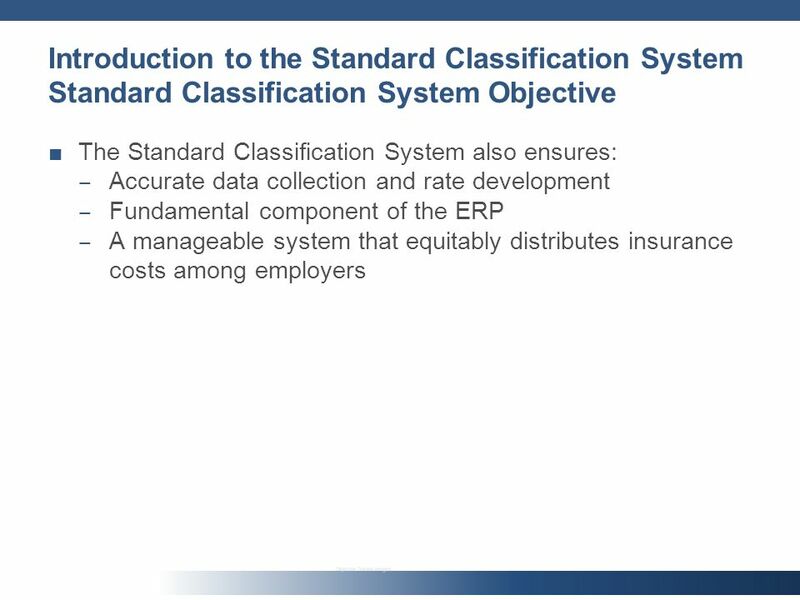  2004 Prentice Hall Business Publishing, Accounting Information Systems, 9/e, by Bodnar/Hopwood 4 – 1 Transaction Processing and the Internal Control.